It’s built in California for the Chinese market, apparently, and uses a Ford F-450 chassis and Ford V10 6.8-litre power. 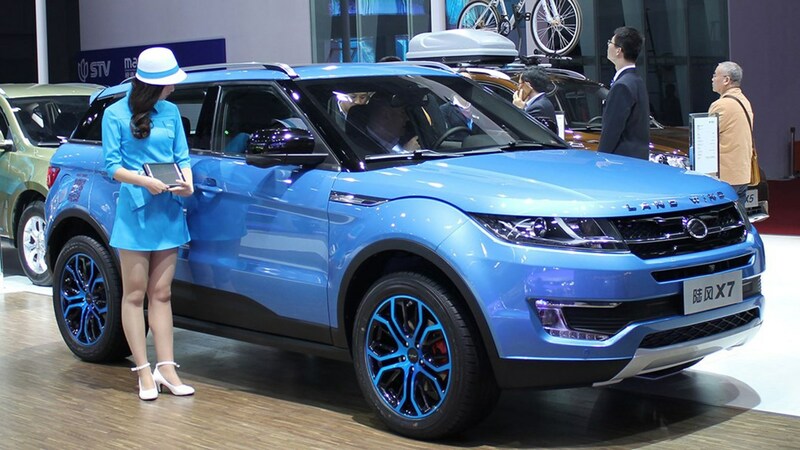 Other conspicuous show highlights, at least to timid European eyes, were the copycat Range Rover Evoque, the Landwind X7 (below), a car that infringes on English fair play but not apparently Chinese copyright laws. There was a Porsche Macan parody (made by Zotye) and the spitting image of the Ford S-Max (made by Lifan). No doubt if I’d had more time I would have discovered some other four-wheel Far East photocopies. So, yes, there were some oddballs and laughs to be had at the Shanghai show this year. Mostly, though, this was a motor pageant full of impressive local stars, from a Chinese motor industry improving at a phenomenal rate. 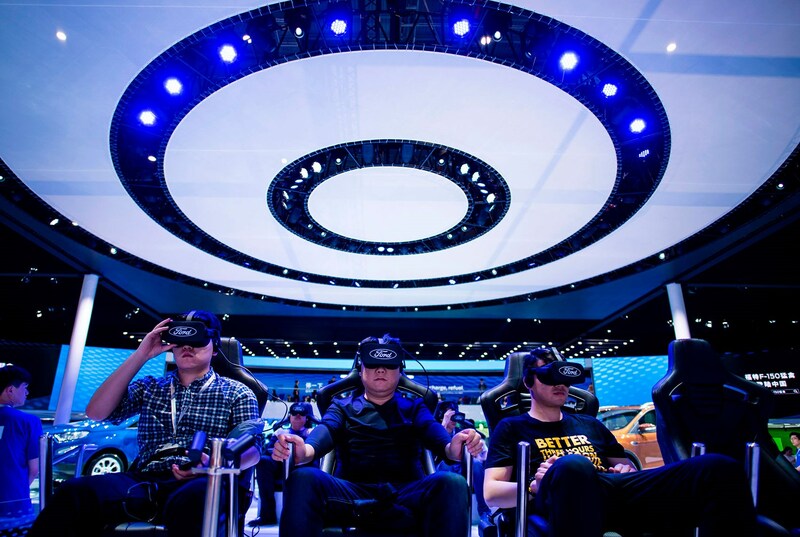 Thus far, China’s numerous car makers have been content to enjoy a booming domestic market. Why not? It’s now the world’s biggest, with 24 million cars sold last year, and still grows fast, as China grows. With so much potential just outside your front door why bother with stale Europe or those unpredictable Americans? But at least one Chinese car maker has announced ambitious plans for the West. Lynk & Co is a new nameplate from Geely, which already owns – and has successfully transformed – Volvo. It succeeded where Ford failed. 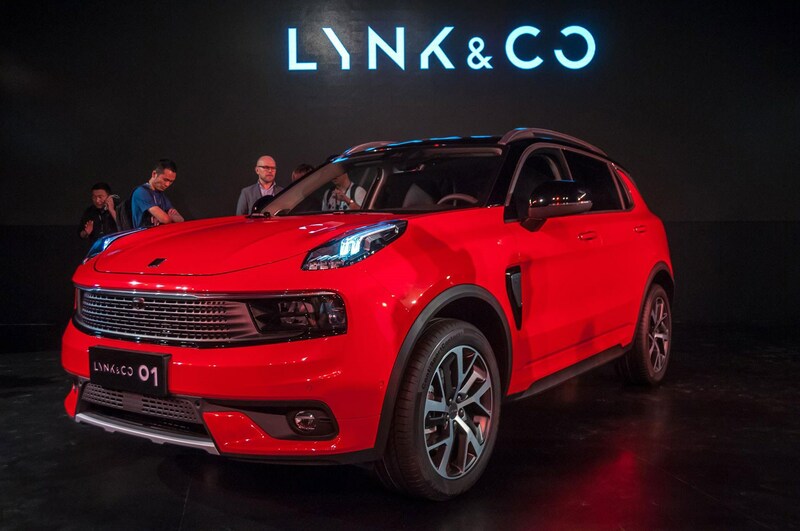 Lynk & Co’s new production-ready 01 (below) is a small SUV, mechanically based on the upcoming Volvo XC40 but with, apparently, stand-out connectivity – including digital locks for car sharing – and a stand-out business model that prioritises offering mobility rather than car ownership, and will likely offer a lifetime warranty. ‘We’re the car company for people who don’t want to buy a car,’ says boss Alain Visser. He knows that they have to offer a very different and compelling proposition, in the West, to succeed. 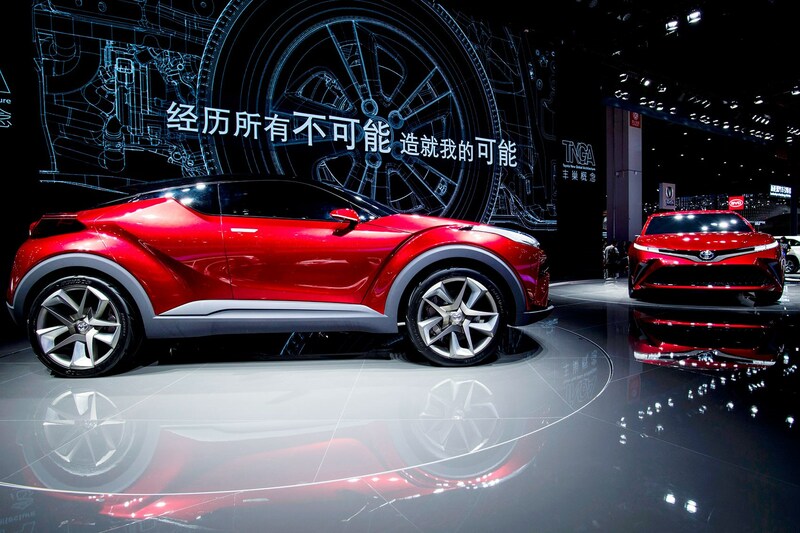 Other fine new Chinese cars included a new MPV Geely, a Chery crossover coupe and the MG E-motion concept coupe. All were to top Euro design standards, little wonder when European designers play such a key role in lifting Chinese car style, and when the Chinese so clearly desire to emulate European (mostly German) design tastes. The Japanese may go their own way. The Chinese look to Europe. This is partly because Chinese car buyers want vehicles that look European. 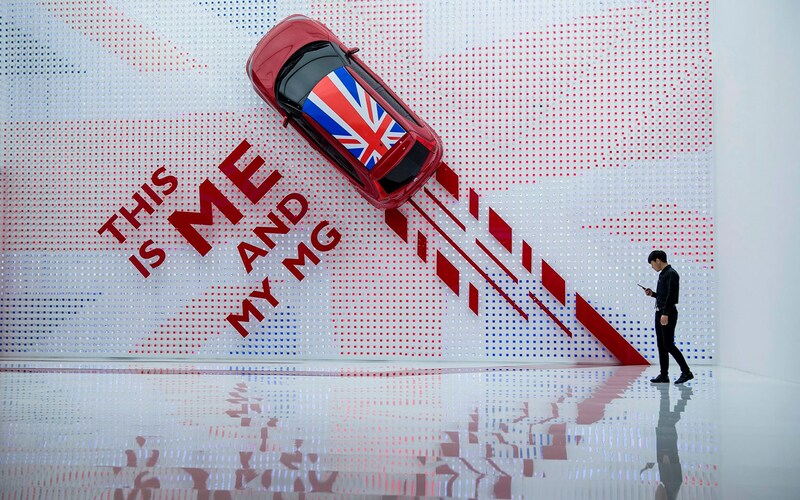 Mind you, it’s strange referring to MG as a ‘Chinese’ maker, especially when Union Jacks adorn their stand (below), and they still cling to their flatcap and hedgerows image, and ’90 years young’ blurb. Across the hall was Roewe, essentially all that’s left of Rover, nowadays about as English as chopsticks and chicken chow mein. Both brands are now part of giant SAIC. This is a state-owned company, so I suppose that is one continuum from the old BL days. 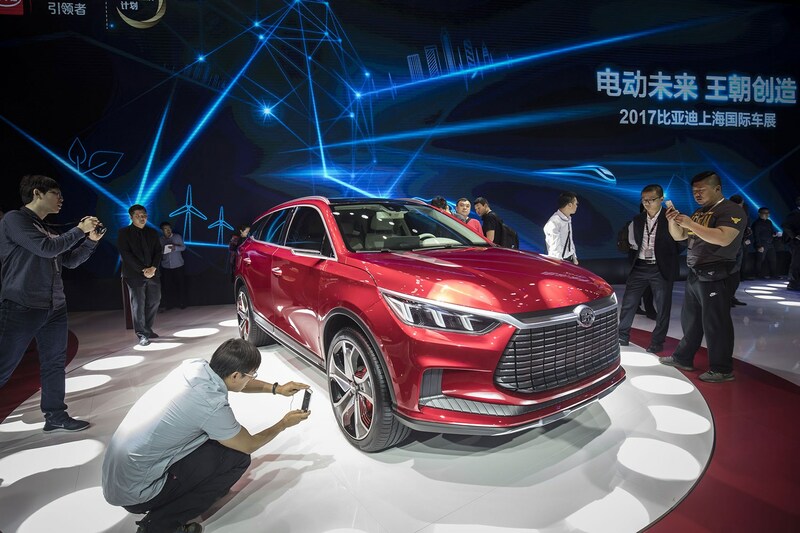 One of the many joys of the Shanghai show is multitude of car makers and brands, from Changan (‘Drives the World’) to BAIC (‘Innovation, Wisdom, the Future’). We see Qoros and Brilliance, Wey and Hanteng, Haval and FAW, plus BYD. There’s Great Wall and Dongfeng. Plus Chery, Geely and SAIC of course. And that’s just the biggest ones. I suppose there’ll be a huge cull one day, just as there was in Europe, America, Japan and Korea. The sheer variety, youthful auto enthusiasm and booming sales are all quite wonderful, of course. Like time-warping back to '50s America or '30s England (with MGs made in Abingdon, not Shanghai), and the media and young men in love with motoring. In terms of tech, the big theme was EVs. Almost all concepts, and many new production cars, were battery powered. China is the world’s biggest market for pure electric cars – over 400,000 were sold last year, up 65% on 2015 – and it’s an area where the Chinese can smell global leadership, as the global tide turns against internal combustion engines. The other area is connectivity. Moving forward, these are pretty good skills at which to excel.